The unsung heroes of New Covent Garden Flower Market are unsung no more! The Wholesaler of the Year 2013 award hails our traders' decades of experience, their expert knowledge and their crazy working hours! 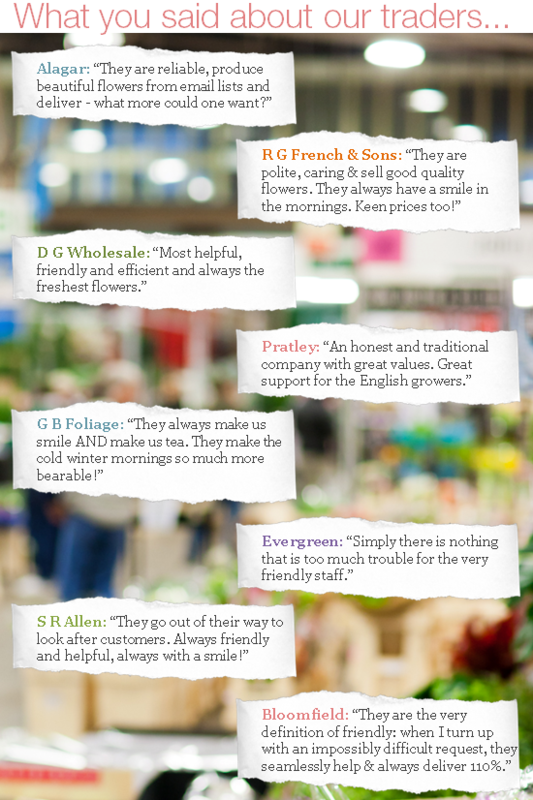 They are all our Flower Market Heroes! 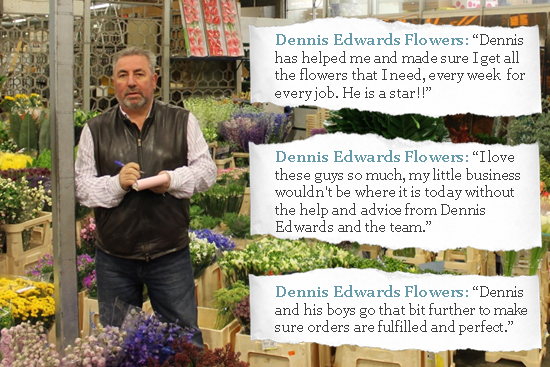 Flower Market legend, Dennis Edwards Flowers set up his own business just 14 months ago and has powered from strength to strength. Long-term devotees have flocked to Dennis' new home, where he was joined by father and son team Eddie and Sonny and Charlie. Their complete reliability, sensational range of stock, and their willingness to go the extra mile, make them a firm Flower Market favourite. 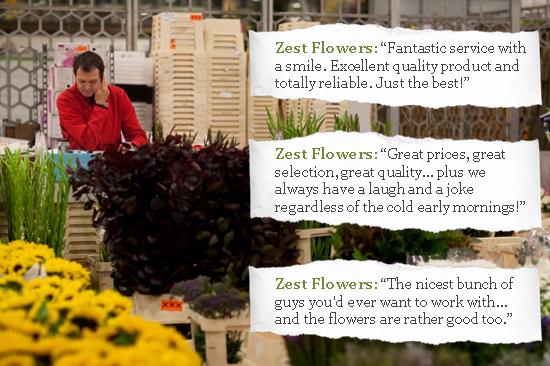 Graeme Diplock runs the helpful, witty, expert team of Zest Flowers: Tony, Terry, Terry and Eric. Their stock is second to none with a fantastic range of seasonal British flowers, Dutch and Colombian and combined with great customer service makes them one of the most popular traders in the Flower Market. 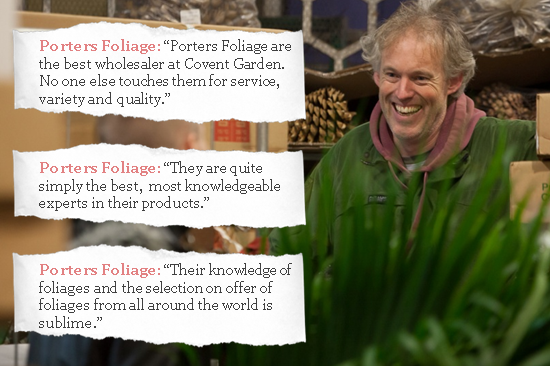 Barry and Bryan Porters have a well-deserved reputation as the unrivalled experts in world foliage. Fourth generation foliage specialists Barry & Bryan and their top team including Russell, Dave, Jamie, Glenys and Barry's son, Aaron, are consistently applauded for being generous with their knowledge and advice and support for customers. Congratulations to our winner and shortlistees, and thank you to everyone who voted for their favourite Flower Market Wholesaler!